Not a 90-minute game, but 90 seconds for a whole season! You can play this Virtual Soccer game in a minute and a half so why wait for the weekend? This is not your usual soccer game - most players should know a bit about soccer for a start and how soccer betting actually works! Make sure you don’t get too tied down to your team because remember this is soccer and anything and everything is possible! Will you go about by taking the favourites? Or will this new type of gaming steer you to root for the underdogs and have the potential to take away huge cash profits! Virtual Soccer is from independent gamers company, 1X2gaming. A UK based company that specialises in general fixed odds gambling games. Although predominantly focusing on sport, it also offers gamers generic casino games and provides them to gaming sites;Ladbrokes, BwinParty and Bet365 to name a few. Formed back in 2003, 1X2gaming are not known for their most complex of games, but games that are reliable and free flowing in game play. Think your general slot machine, rather than big innovations and new styles of gaming! You have the opportunity to bet by country, the current week of soccer or even seasons years ahead of us! It’s similar to other betting with the chance to bet on any fixtures you want or you can even bet on the results of most of the leagues around the world offering a plethora of winnings. Having a bit of knowledge of Soccer does help a little bit in this game, but not massively – it could just be down to luck! There is always the option to do some research on previous games and results within the game to see how things might end up in future seasons! Singles or league outrights on the favourites can bring in small amount of cash prizes but it’s all about the big bets and how you are really risking it to bring in the maximum cash prizes. A maximum one player can win is £9,999 which is a pretty healthy amount on a few soccer bets. The maximum you can win in US dollars is $14,266. You don’t even have to watch the game, or the season for that matter. It all takes a matter of seconds, which can take away some of the excitement, but on the other hand you can be winning cash quicker! 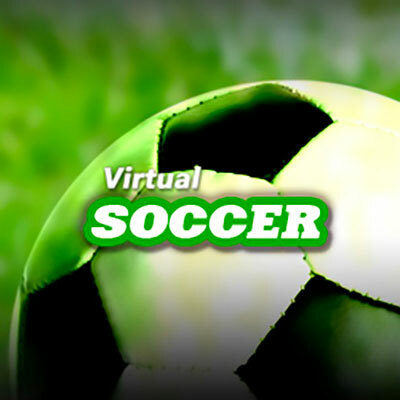 Virtual Soccer is a straightforward online game; if you are looking for a bet with a fast outcome then this is the game for you! Pioneers of virtual betting games, 1X2gaming have brought another delight to the table with this one. If you love soccer and gaming then why not give this offering a try and get hooked on the latest sports experience.